As if you needed another reason to drink more water!! Well, one more reason to drink more water is improvement in weight loss. How exactly does water do this? First, it helps to keep you full and keep hunger at bay. A lot of people mistake hunger for thirst. If you are feeling hungry, drink a full glass of water prior to eating or snacking. After drinking the water, if you are still hungry, then choose a healthy snack or clean meal. Many times you will notice that your hunger dissipates though after drinking a glass of water. Second, It also helps you to eat less. I advocate drinking a full glass of water about 15-20 minutes prior to your meals. If you are out at a restaurant, drink your full glass of water while you are perusing the menu and awaiting the meal. You will find that you eat less during the meal itself. Note: Keep drinking to a minimum while you are eating to allow your stomach’s digestive enzymes and acids their full capacity to break down your food without dilution. Third, water also speeds up your metabolism. Research shows that drinking 16 ounces of water can speed your metabolism up by about 25% within an hour. Your body needs to increase it’s metabolism in order to heat up the water, so drinking 16 ounces of water every hour will keep your metabolism ramped up. Fourth, your body and cells are made up of over 70% water. Now compare a plum to a prune. You want your cells to look like nice juicy plums and not shriveled up prunes. 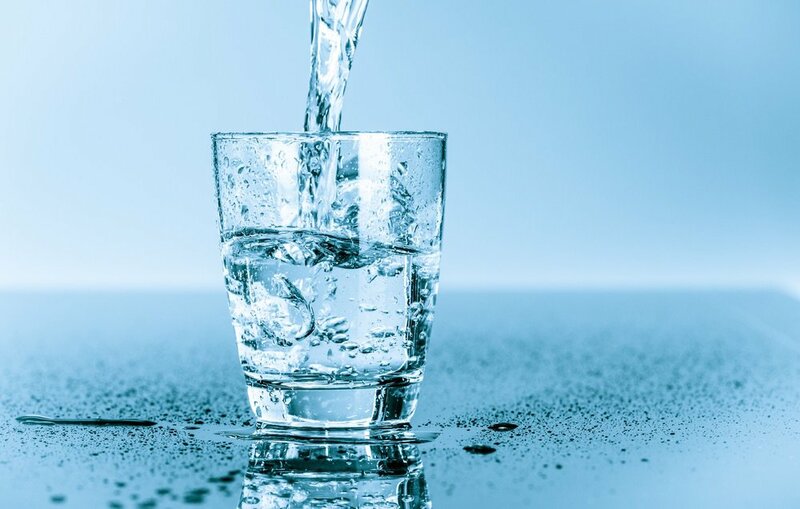 Drinking water keeps everything lubricated, plump, and juicy and this helps you not only look younger, but keeps you feeling younger and your body functioning optimally. I challenge you to get in at least half of your body weight in water per day in ounces. For example, if you weigh 140 pounds, you should be drinking 70 ounces or more of water per day. Initially, once you ramp up your water consumption, you may need to urinate more but as your body adjusts, this will lessen. Keep a log and commit to doing the water challenge for a week. Eventually, it’ll become second nature. I tell my clients and patients not to even consider losing weight until their water consumption is on par with their daily requirements. Increase your water today and let me know how it goes. If you need additional help with your nutrition or need someone to hold your hand through your weight release process, check out my Total Body Reset Course Below! !